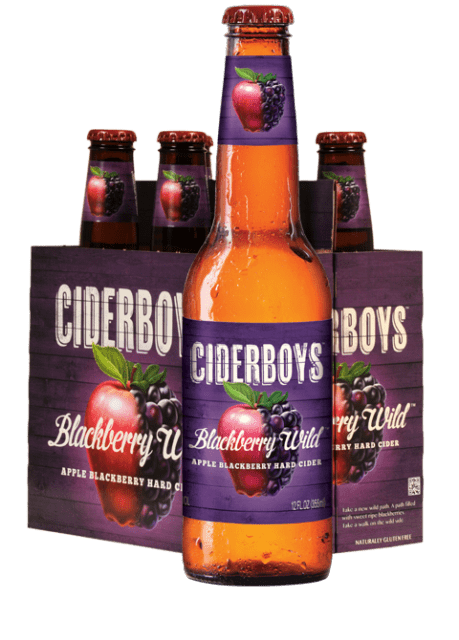 CiderBoys, the cider-making subsidiary of Stevens Point Brewery in Stevens Point, Wisconsin, has blended pure blackberry juice with the juice of crisp Washington state apples for its release of Blackberry Wild Hard Cider. The new flavor joins the growing Fruitful Pairing lineup with Raspberry Smash, Cranberry Road, Strawberry Magic and Royal Blueberry hard ciders. CiderBoys’ ciders are fermented with a hard cider yeast imported from France, where hard ciders have quenched thirsts since the Middle Ages. The fermentation process is cool, slow and takes approximately two weeks per batch. Once fermentation is complete, the cider runs through a filtration process that renders a clear, sparkling liquid. No sugar is added to CiderBoys products, which are naturally gluten-free. CiderBoys ciders are currently available in 29 states.